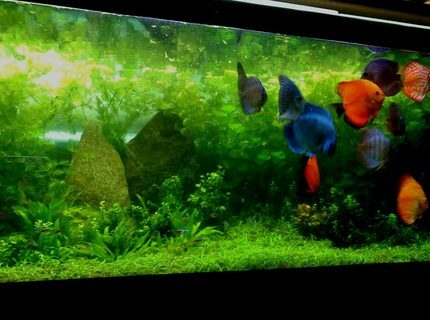 About Yourself: Have kept a tropical tank for around 30 years and it's that long ago I can't remember what got me into it, probably the beauty of the fish in particular the Siamese Fighting Fish which I managed to breed a few years back. Sat up until around 2.30 am watching them fertilize the eggs and put them into the bubble nest. 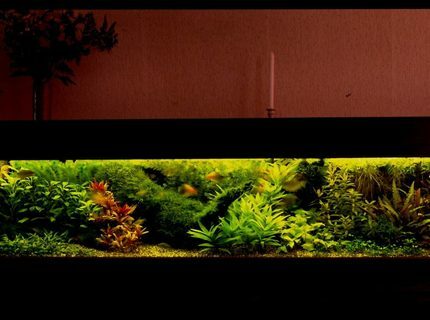 In general I just love keeping fish and find it rewarding once the tank is all set up and planted out well, the latter being the hardest to do for me. Pete. 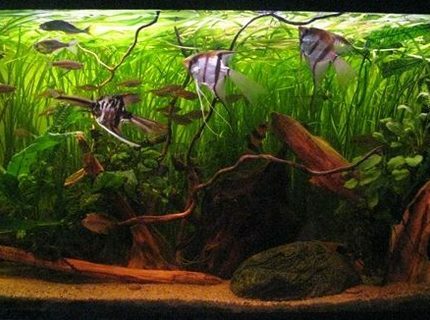 Fish Kept: Main Tank Panda catfish -20 ish Bronze catfish -6 Peppered catfish - 8 Albino catfish - 8 Neon Tetra -20 Glowlight Tetra - 2 Black Emperor Tetra - 6 Silver Dollar - 2 Clown loach - 4 Zebra Danio - 8 Black Widows-2 Harlequins - 10 Rummy nose Tetra - 6 Humbug catfish- 1 Koi Angels - 2 Golden loach - 2 Khuli loaches - 8 Bottom tank 3 bronze cory's 3 albino catfish 1 female siamese (mum and dad have passed now) 1 sucking loach 20 neon tetras. 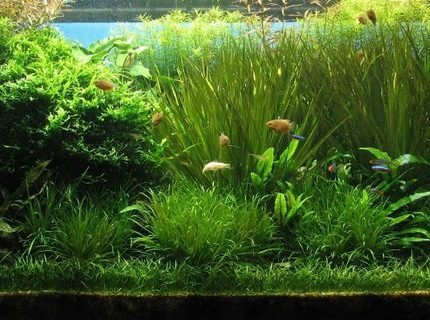 Advice: Spend plenty of time observing your fish and don't forget to do regular water changes of around 15 to 20% once or twice a week, I do it twice a week. I now use RO water because I have tested my tap water and found that it is high in nitrate. I have my own RO filtration unit and also use the water for making cups of tea, which I must tell you tastes far better than tap water. Another thing to remember is always wash your filters in a bucket of water that you have just drained from your tank and NOT under the tap, if you have more than one filter as I do then you can clean one and leave the other for a month, this way you will always have good bacteria in one of them. There is plenty of good info on the net now, so just read up and filter the info to suit your particular needs. 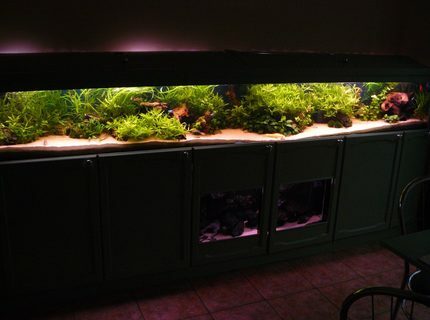 Description: Front veiw of 10 foot tank. Quote: "Fail to plan... Plan to fail"
Advice: Take your time! Research what you are doing, and read the bottles of additives you are putting in your tank. 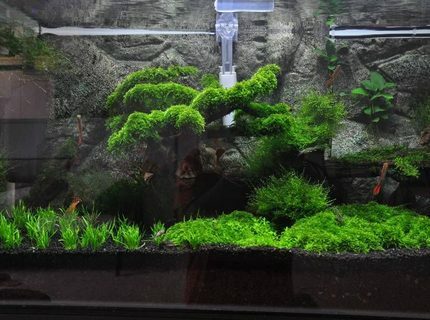 Fish Kept: 4 SAE and 200-300 Red Cherry schrimps. 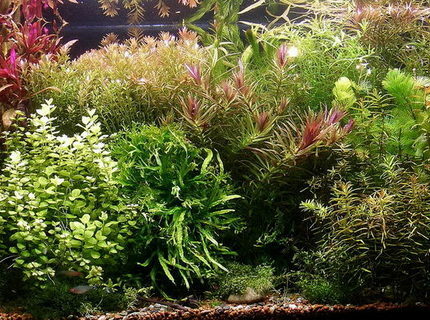 Corals/Plants: Heteranthera zosterifolia, Microsorum pteropus, Microsorum pteropus windelov, Cardamine lyrata, Echinodorus vesuvius, Echinodorus Angustifolius, Lilaeopsis novaezelandiae, Cryptocoryne balansae, wendtii brown, beckettii, Blyxa japonica, Blyxa auberti, Limnophila aromatica, Eusteralis stellata, Aponogeton ulvaceus, Aponogeton undulatus, Aponogeton rigidifolius, Valisneria nana. 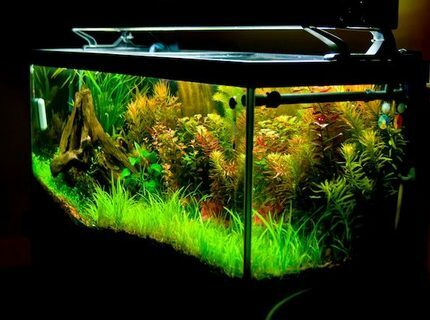 About Yourself: i was jealous on my friends planted tank..thats why i made my own..and the result more pretty than my friends one...LOL:)..im a chef on a busy restaurant here in singapore.. 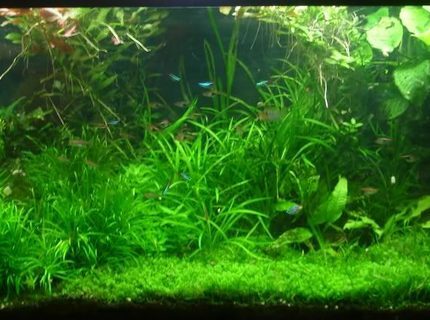 Description: my first attempt to make a planted tank..
About Yourself: I keep Koi in ponds in the summer. Love skateboarding in half pipes. 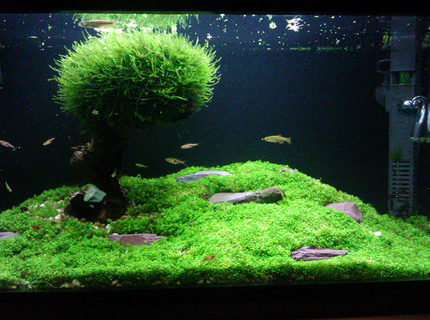 Fish Kept: Variety in the big 240litres tank: Pterophyllum scalare, Rasbora vulcanus, Congo tetra, Botia macracantha. Advice: First read and learn, then buy. Description: Please forgive the quality, was taken with a phone. TetraMin, the original tropical flake food, now comes with an enhanced formulation and easy-to-use sliding dispenser lid. TetraMin remains the world's No. 1 fish food. Visit http://www.tetramin.com.